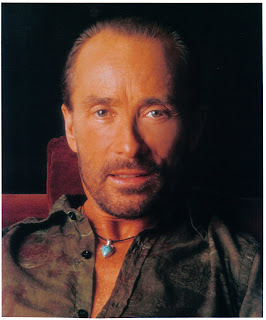 It's hard to imagine that country singer Lee Greenwood is nearing the age of 70. Born and raised on a farm in California by his grandparents, Greenwood found mainstream success during the early 1980s with hits "I.O.U." and "Ring on Her Finger, Time on Her Hands," but it was the rebirth of "God Bless the U.S.A." after the attacks of 9/11 that secured his place in music history. Greenwood originally wrote and recorded the single in 1984, which earned him the CMA Song of the Year, but the song regained popularity during the first Gulf War in 1991 when the armed forces launched Operation: Desert Storm. The song rose again in 2001 following the terror attacks on Washington and New York. For the second time, the song went to No. 1 but this time on all the music charts across the board. "Going No. 1 for a second time gave it a unique position in music due to the circumstances the country was in," said Greenwood. "The song would not have been another substantial hit if America was not attacked on 9/11. I think America needed that song and the only recording of that song was available on Capital Records. We made an album called "American Patriot' and when 9/11 struck, it went double platinum. In broad aspect, this song has impacted now four generations." Greenwood's original intent behind the song was to write something that was cohesive for the country and to write a closer for his live show. "Being from California and not traveling much, I wanted to bring together the country," he said. "I wanted to shorten the distance. The opening line, "Tomorrow all the things are gone, I worked for all my life,' was about my grandparents farming. When they subsidized grain to the Russians during that time, I realized it cut into the economy of my grandparents' farm. That was a tribute to them. Plus, when I was 14, I worked for the USO in San Diego and recognized the services the military were doing and wanted to do something for them." Greenwood witnessed Elvis Presley performing at the Flamingo in Las Vegas and saw that he ended his show with the "American Trilogy' and wanted to do the same. "I told myself I wanted to close my show with that if I ever got stardom," he said. "After I began to get records on the radio, I asked myself why would I do the Trilogy? It would be redundant. I needed to write one for myself, so there was a lot that went into that piece of music." There's so much more to Greenwood's career than that one song. Greenwood said he discovered music at the age of 9. His parents were divorced when he was young (he didn't meet his father until 14) and his mother worked most of the time, so he was raised by his grandparents. "I was given the opportunity to study music," he explained. "There was a piano in the house and I used to play it all the time and it just felt good." Greenwood excelled in more than music. He was a star baseball player in high school and was faced with the decision to go to college with a music scholarship or move on to play college baseball. "There were some regrets but as I look back, my baseball career would have been over a long time ago," laughed Greenwood. "There were regrets at the time because I worked Las Vegas when I was 17. I was playing the major resorts and they each had a softball team so I would play. There's a little remorse but it didn't really matter." Las Vegas and Reno, Nev., would be where Greenwood would polish his resume. He played the circuit opening for different artists while playing his own shows and met fellow musicians Felix Cavaliere and Dino Dinelli. They approached Greenwood to form a group but he declined. That band was the Young Rascals, who went on to record the hit single, "Good Lovin," but Greenwood didn't mind the misfortune because he wanted to be a solo artist. "I had great experiences in Nevada," he said. "From being a backup, a leader, and even a dancer. I arranged everything in my show and even did some things for other artists. Getting over the fear of being in front of audiences was big for me. I was very shy and didn't like being in front, especially being so young. The success you get today on "American Idol' forces you to be in the front and makes you talk. I did that for 18 years and finally got more comfortable, and when my career hit, even though I didn't have a lot to say, I was able to talk." Greenwood finally left Nevada for Nashville thanks to Larry McFaden, the bassist and bandleader for country singer Mel Tillis. Tillis was headlining a show at the Nugget in Reno when during a break in their show, he went over to watch Greenwood perform in a side room. He liked what he saw and thought Greenwood had plenty of potential. "Larry wanted to find an artist he could manage," he said. "We hooked up a year later and talked about the future and decided to go to Nashville to be a country music artist." In 1980, Greenwood was one of five artists to sign a record deal along with Reba McEntire, George Strait, Barbara Mandrell and the Oak Ridge Boys. All signed with MCA Records - and the rest is history. "I may not be as creative as I used to be, but I am in the midst of raising my two sons that take up about 80 percent of the time," he said. "This is what I do and what I know. I still enjoy performing, getting on stage and making people happy." According to Greenwood, he still performs about 100 shows a year including private shows and a stint in Branson, Missouri. He was appointed by former President George W. Bush to the National Arts Council and is a spokesperson for Operation Never Forgotten among other charities. Greenwood has two music projects in the works with a pop album, "Proven," and a country album. "A pop album is something I always wanted to do," he said. "My background is jazz and rhythm and blues. Some people I admired as singers were Sam Cooke, Bobby Darin and Kenny Rogers. When Sony (Records) called me and wanted to do a pop album, I took most of the songs I could think of that were conducive to my vocal range but also songs I liked." Songs by Cyndi Lauper, Ray Charles, Michael Bolton, Whitney Houston and Babyface will be on the new album that will soon be released for purchase. The country album will be an easy sell, but is there still a market for Greenwood's music? "Well, we are going to find out," he said. "Lots of artists near my age are having a difficult time finding a place where their fans are. The good news is we don't have to rely on radio. The Internet allows us access to the audience but the flipside is some of my audience may not be Internet savvy and they have to find you. The way to do that is by live performances and television." Despite recording more than 20 albums, which sold millions and charted more than 35 singles, Greenwood says his biggest and greatest hope is to see both of his kids' graduate college. "I've accomplished so much in my career but that really means the world to me."